What are the values you cherish even though they may run counter to societal values? I think that most of my values pertaining family and society coincides with the normal societal values of many. It's the spiritual values that seems to have problem with some of the not-so-good people in the community. Mondays make me feel tired and restless in the old days when I was still a corporate rat. I used to deal with more problems on Mondays because I'm off during weekends. I felt that they would pile up the problems on me which was accumulated on weekends. If you were to publish a book about yourself, what would you title it? I have many friends and former colleagues who are using iPhone now and all I can hear from them is all the best things that they can do with their newest toy. They really enjoy the flexibility of the phone and many useful benefits they derived from it. It’s a never ending story when they talked about the many applications applicable for them to upload. They can’t get enough of it and urging me to buy one also as it will be beneficial for me and for my online work. I think they’re right because I can read my emails wherever I go and I can read e-books, be entertained or even play games if I want to. I’m not much of a gamer but my kids are so I think they will benefit from it the more especially when we’re out of house. It’s too expensive to purchase now so I guess I’ll have to work hard and save money before the end of this year. I like browsing the net for more info about iPhone App Development and I learned that Sourcebits, a software development company is the one responsible for the latest development and trends in iPhone software features. They have developed and created iPhone App Development, iPhone Games Development and Android App Development. The company has been awarded an official iPhone developer and because they’re really good in it many people would certainly benefit from their visual design and web ideas. They’re doing these developments for iPhone, iPad, Mac, Android, Blackberry, Adobe Air and other Web application. Development. Exploring is really fun but I have to remind myself that I still don’t have the wonderful gadget! 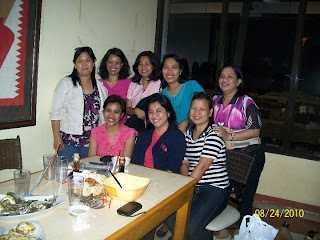 I met up with my college friends last Tuesday and one of my friend’s daughter got sick after being here in the country for about two weeks. They came from Canada where they choose to live and work for good. Len find it so hard to get a private room for single patient because most of the hospitals have a great number of patients. They’re actually calling this season a bad health month because everyone seem so weak and sick. I’m lucky that my three kids are fine now after last month’s usual coughs and colds. They’re already schooling and they need vitamins to have resistance on getting sickness from environment and classmates. It’s hard to be sick and when my kids are sick I felt sick too. I bought my kids ascorbic acid which is a good vitamins to fight the usual sickness common on kids. They also have multivitamins for overall health maintenance and supplement. It’s important to support our kids’ health with the necessary vitamins because it will serve as their anti-sickness protection. DH and I need to have our vitamins also and when I did my usual surfing and research I found out that Supervits, a vitamin super store is a good source to buy quality health products like BioAstin. They carry almost all brand products like jarrow formulas, biomed, cellpower, nutrex, enzymedica and others. They have over 10,000 varieties and it consist of vitamins, supplements and other health products very much needed by our bodies to start a healthy lifestyle. 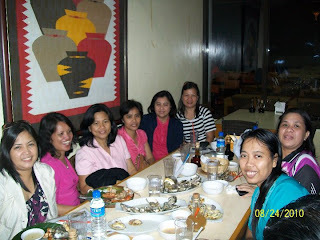 I'm still elated from our meet up last Tuesday which took us until before midnight. I brought hubby around because our meeting place was so far from our house and I've predicted that hours will not be enough for me and my college friends. Food was great but for the first time I didn't indulged much because I was more hungry for updates on my college friends' life. These are the friends that I've been with the whole of my 5 years studies in PUP and we've seen life's ups and downs. We're inseparable for straight 5 years. Our jobs separated us though but for seven years after that we're still in communication until the day came that we're too busy with our jobs, and career, with getting married, with starting a family, with raising our kids and so many things. Now that we've met again after several years we promised to stay in touch and give ourselves some time to meet again because we're not complete last Tuesday. We've only reunited lately through social network and I thank FB for this. I'm missing them again now! You love spending time outside, and it's likely you've crafted your lifestyle to maximum outdoor activities. You probably live in an excellent climate (or intend to). And you are also probably physically fit. Of all the types, you are the most likely to be the happiest. Being outdoors really raises people's spirits. So go ahead and spend as much time outside as you'd like. Just remember to protect yourself from the sun! We're blessed with a good climate though now we're experiencing little rains every now and then. In our climate you can grow a flower or vegetable garden all year round. We're lucky to have a big backyard where you can plant anything you like so most probably those people who love gardening will enjoy it. Most houses now don't have extra space for a big garden so with our big space we're taking advantage of it. We have fruit trees and some vegetables behind the house inside the whole compound. I'm noy much of an outdoor person as those people who love going to the malls. I just to be around the community sometimes to run errands and smell fresh air outside my work. I don't want to be in front of my lappy all the time. I'm happy with what I'm doing outdoors like taking a walk, going to school , grocering and visiting my friends. Life of a work-at-home Mom is as busy as always so I see to it that I have defined house and online works schedule. I have to set my time to organize things in the house and my work because if not my work will be in chaos. The results can be anything from expired tasks, lost opportunities to lower monthly income. I see to it that every due dates will be met and even if it reduce my sleeping hours I try to do every tasks assigned to me except of course the tasks I deemed not good for my site. I’ve already adjusted my life from being a corporate rat for almost 2 decades to being a work-at-home. It’s the life I’ve chosen and I’m very happy with it. I would never exchange it for another job. It’s the best multi-tasking job I’ve ever experienced. I can say that it’s a blessing to be able to take care of your family while earning some bucks in the comfort of your home. Although some say that it’s not stable job there are ways of managing your finances. Like now the tasks are pouring out and some extra earnings should be saved for the days that work is not at its peak or you can invest your money on real estate, small business or precious metals. I heard that some bought gold bullion for collection and investment. They say that having it safely deposited in the bank or stored in the safety of their homes would guarantee a viable high return of capital. It was studied that gold really appreciate its values over the years.